A native European fruit that grows abundantly on shrubs and resembles the blueberry, bilberries are unique in many ways, and offer a nutrient-rich option for those who seek interesting teas that deliver a plethora of benefits. Though part of the blueberry family, bilberries yield a different taste and are more difficult to grow since they only thrive in mountain ranges. They hail to the temperate and subarctic regions of the northern hemisphere, and are well known in the mountainous parts of Europe, Asia and North America. While the berries harvested from the plant are used to make a variety of fruit pastries and tasty jams, the leaves are harvested to create a refreshing herbal tea. 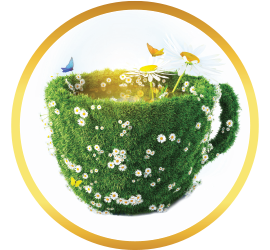 With a soothing herbal taste and a relaxing quality, bilberry leaf tea is easy to enjoy, well complemented by a bit of lemon or honey. 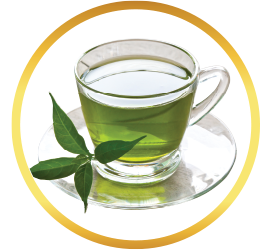 Yet this herbal tea has even more to offer, as bilberry leaf tea is a natural source of several important nutrients. 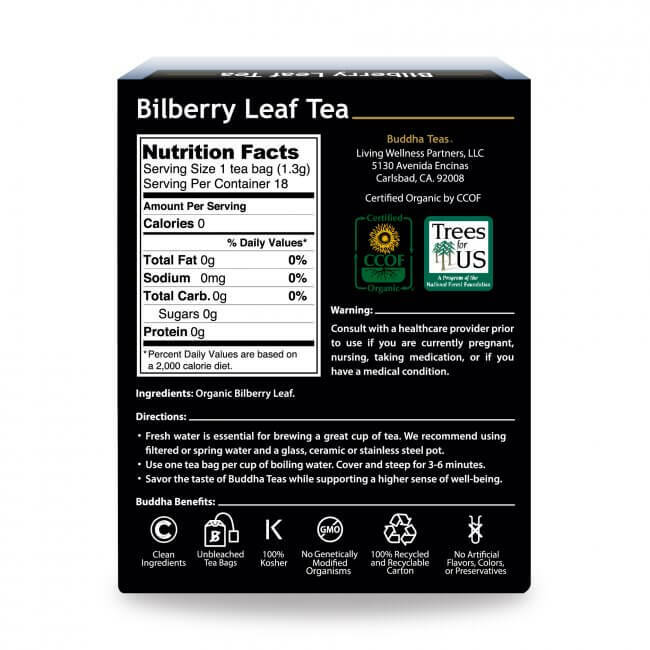 Drinking bilberry leaf tea can provide an array of vitamins, including vitamin A, C, and multiple B vitamins. 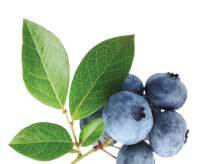 Calcium, potassium, sulfur and zinc can also be found in bilberry leaf tea. Alongside these vitamins and minerals, bilberry leaf contains a number of constituents, including beta carotene, pectin, quercetin, tannins and flavonoids, and many of these constituents offer antioxidant properties. 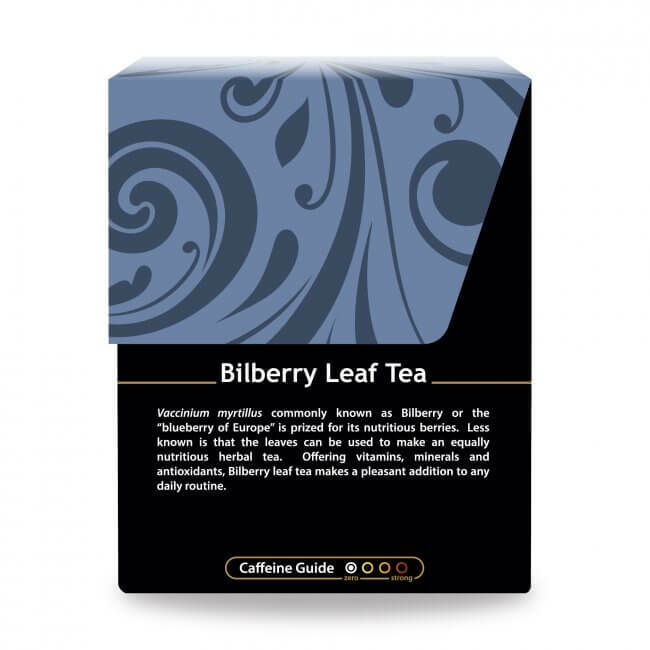 With all of this and more, bilberry leaf tea is an obvious choice for those seeking a new and interesting herbal tea. Bilberry leaf tea is an uncommon organic herbal tea proudly offered by Buddha Teas. 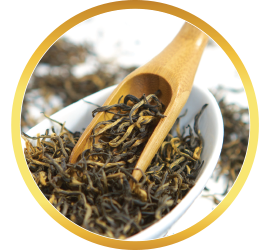 We guarantee that our teas are high quality, using fresh, organic ingredients, and presented in unbleached tea bags. If you’re looking for a great chance to savor the taste of fresh bilberry leaf tea, look no further! Buddha Teas offers great everyday prices, and not only do you receive discounts on bulk orders, but all US orders over $50 earn free shipping! 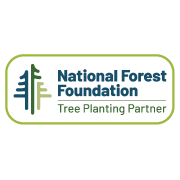 Order now and receive a coupon code to save on your entire purchase! 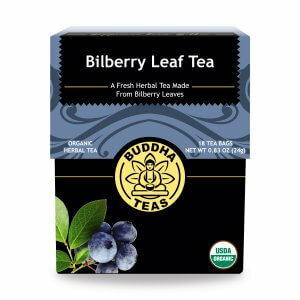 A friend recommended Bilberry Leaf Tea for health reasons, and I am enjoying it twice a day. It has a mild smooth taste. Excellent tea and hard to find. Tastes great. My husband is taking this for his m-degeneration. Proven to be helpful for the retina . 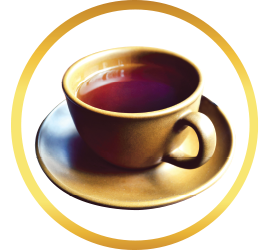 This tea tastes good and is very relaxing. Also the service was superb. I got the shipment extremely quickly after I ordered it. I received my tea quick and taste great. I will definitely be ordering more from here. Review Title: Great Tasting Bilberry! 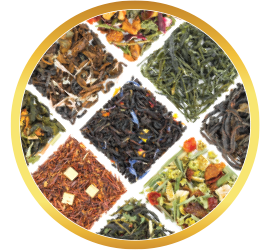 I just love this flavored tea among my other favorites from Buddha teas. 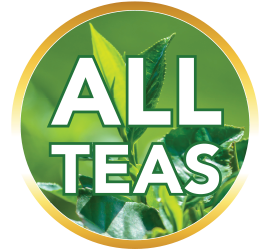 Their teas are the best in taste and flavor and especially love the antioxidant value that each provide. 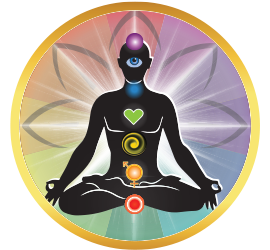 I order regularly and will only purchase teas from Buddhateas.com A GREAT QUALITY COMPANY!!! I ordered 4 different herbal teas, but the Billberry was the first one I tried. The taste was pleasing! I'm happy I ordered. 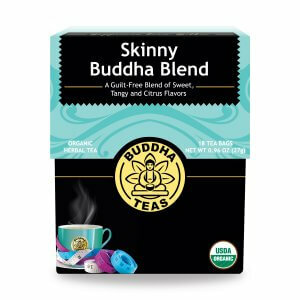 I have yet to try any of Buddha Tea's real tea options, but I'm very happy that there is a tea company that offers so many herbal options that are harder to find elsewhere and geared toward health and well-being. Taking for health reasons, but love the smooth taste of this tea. 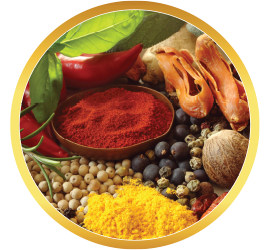 Many ways to enjoy - I sometimes add 1tsp. fresh lemon juice along with organic raw honey. Will definitely continue to buy from Buddha Teas and have recommended to family and friends. 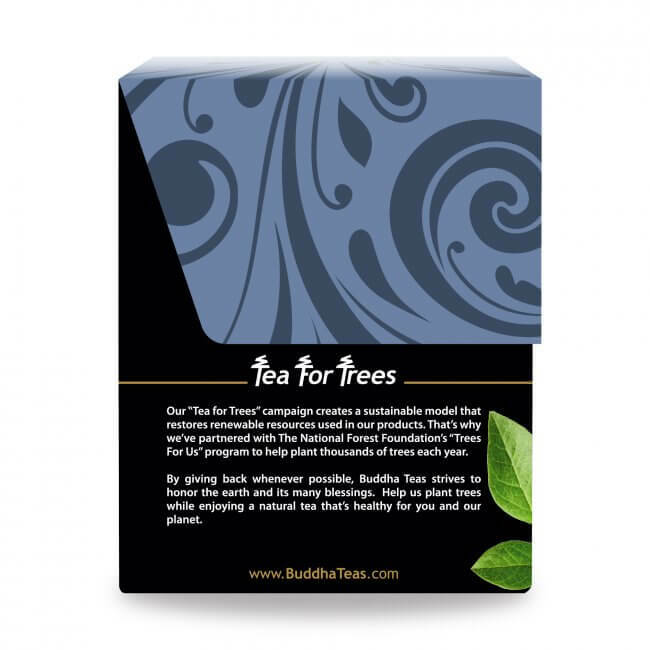 My first time with Buddha teas. Very nice!!! !